Through lens I see Mother Nature watching over her domain. Another little Cape Ann Critter checking for food in the bitter cold of January for Camera Critters link. 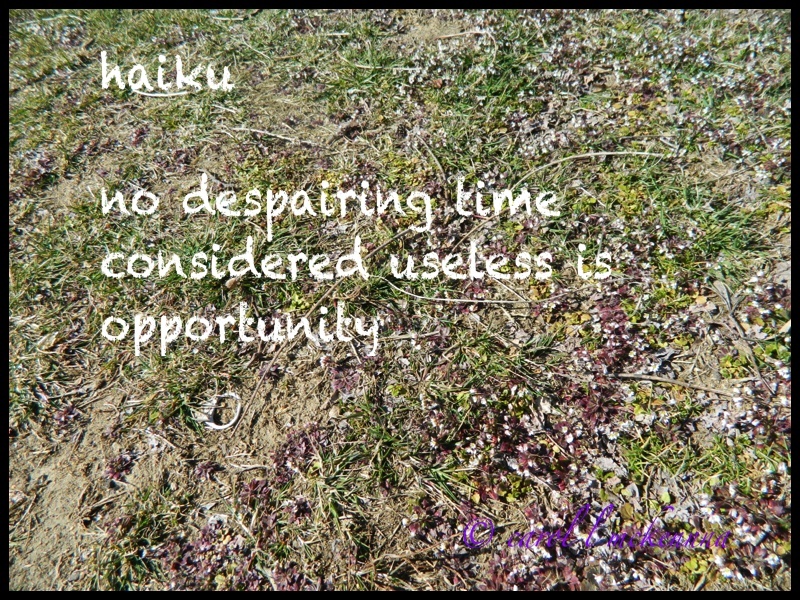 Haiku for Haiku Heights link with prompt 'cadence' . This little Carpe Ann MA critter looks like he is saying 'what are you doing looking at me?' for Saturday Critters link and Weekly Top Shot Link. Bitter Cold on Cape Ann MA and not much photographing ~ closest I wanted to get to the Sumac that the birds are thriving on this winter. For I Heart Macro link. Wonderful post! I really love the last two photos and your Haiku is great. Have a great weekend! Enjoyed the haiku and great pics - although the birdie looks a little cold, I think. Beautiful photos and post. Thank you. Lovely photos! The first bird looks like a robin. Cute shots of the robin! 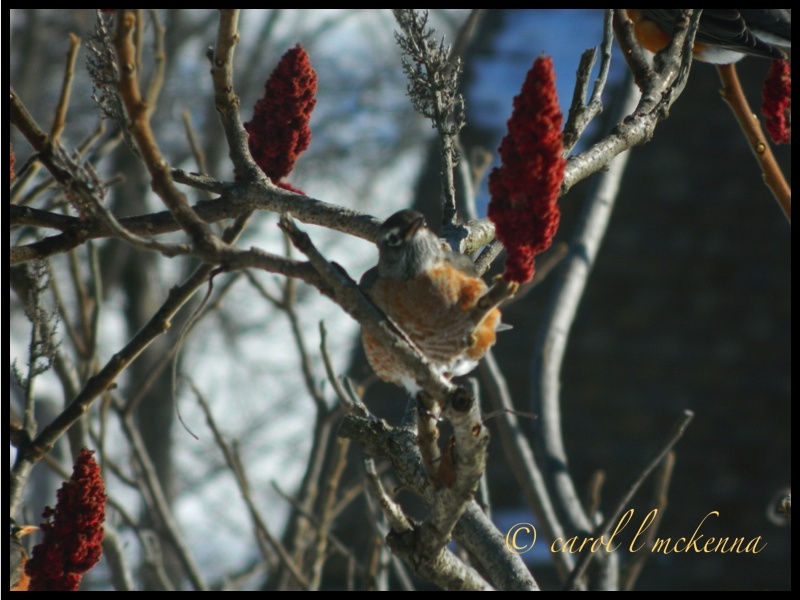 It is interesting that the birds love the sumac. 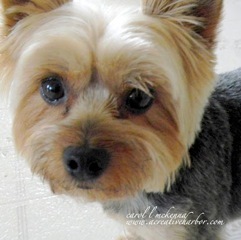 Thank you for linking up to my Saturday's Critters. Have a happy weekend! 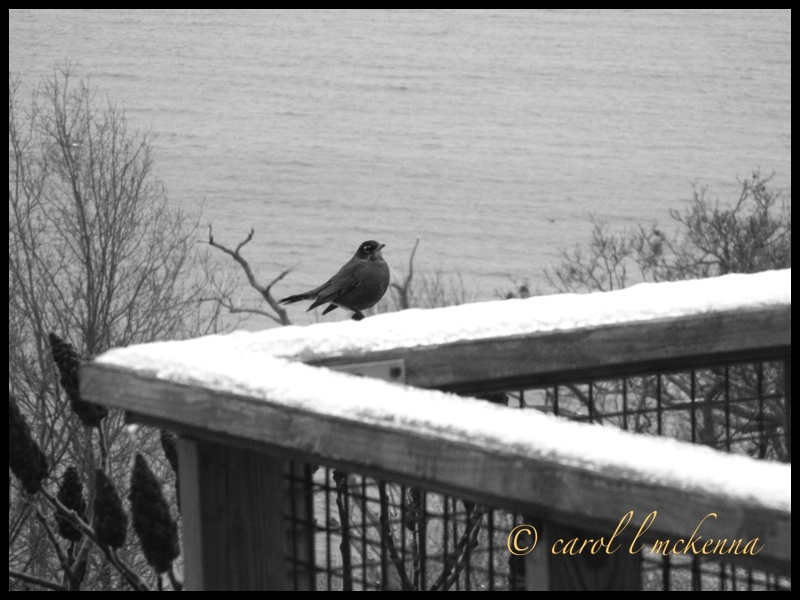 wonderful haiku and your feathered friends look like they are waiting for spring, too! Lovely photos ! Have a nice weekend ! Wonderful set of images. Excellent selection. These are hard times for the robins and other birds. Pleasing to see you looking out for them Carol. Beautiful birds! Have a wonderful weekend, Carol! Thank goodness for the sumac! Thank you as always for the haikus as well as the pictures. I Just started back to yoga/meditation class; it is so good for me. 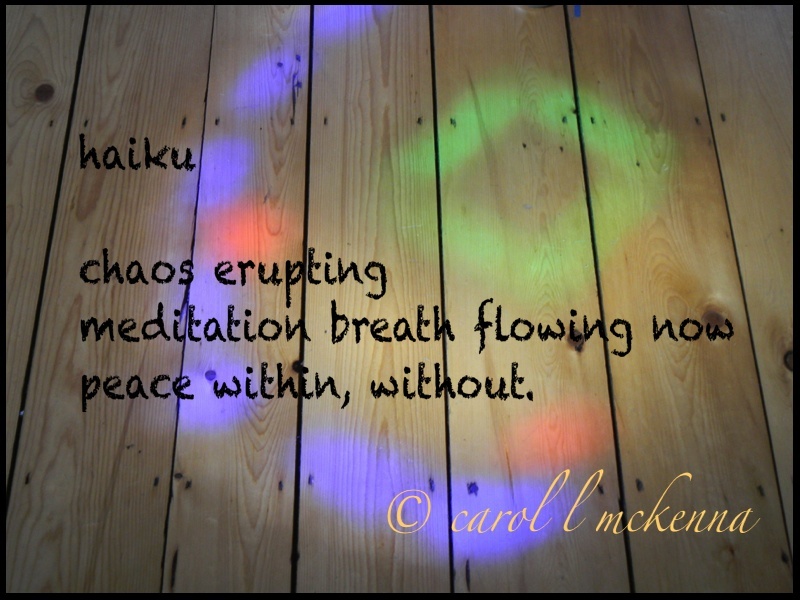 I may use that first haiku for my meditation. Looks like you have robins there that never went south! Oh gosh, Robins! We won't see them until the spring. 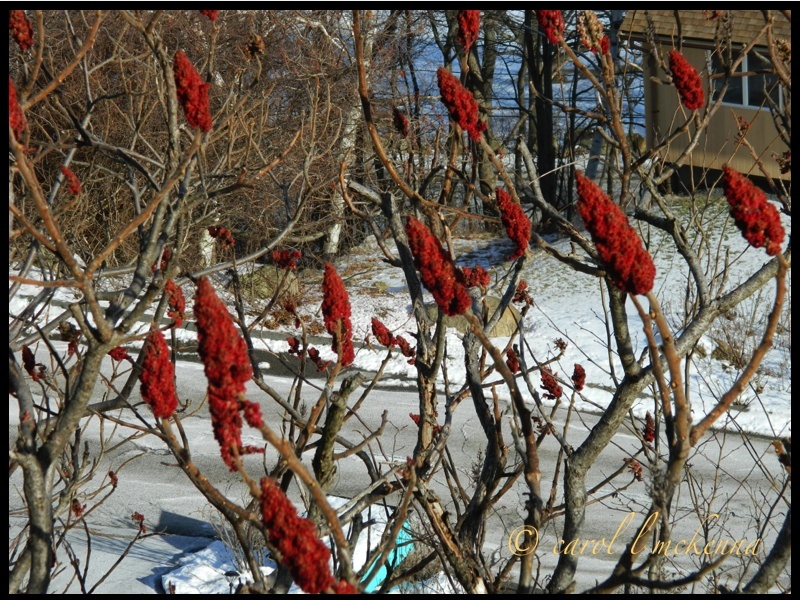 I love sumac bushes, they always provide much need colour in the winter. You may be cold but it's always upbeat at your place! Have a wonderful Sunday and keep feeding the little birds! So lovely. The sumac just gives that pop in the midst of all the gray and white doesn't it! Love your writings too. i gave up google on my blog - going back to my old profile because folks did say they couldn't get to my blog ... i enjoyed goggle + because you can find folks & chat. so i am unsure how to keep up with it all. Beautiful photos and haiku. I especially like the first one! Amazing how the breath can bring such peace! It has been too cold for me to get out too. But I did get out this weekend since, thankfully, it was warmer. Nice shots! The little Robin is looking for spring! It does look so cold. Hope we have spring soon!